What’s happening around The Connection? Read on to find out! There’s still plenty of baseball to be played this season! If you haven’t made it out to Trustmark Park yet, check out the schedule here and come root the Home Team! Upcoming events include Thirsty Thursday Southern Miss Night as the M-Braves face off against the Jumbo Shrimp out of Jacksonville on Thursday, June 21 at 7pm. Fireworks at Trustmark Park are a site to behold, so don’t miss out this coming Friday, June 22 and Saturday, June 23. Go ahead and mark your calendars for next month where the M-Braves will host their annual Atlanta Braves Tryout Camp scheduled for Thursday, July 9 at 9:00 am Trustmark Park. 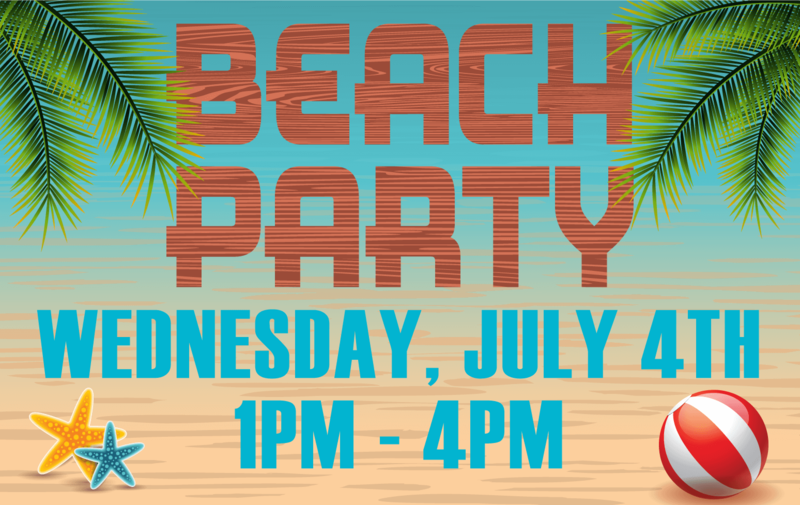 Make plans to join the Outlets of Mississippi on Wednesday, July 4 as they bring back the “sandy beach” to the Plaza during their Fourth of July Beach Party celebration! There will be music by DJ Scott Steel as well as a fun and games for the kids! 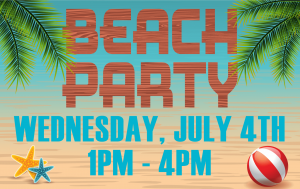 Beach Party hours are 1 pm – 4 pm with the Center being open at normal hours of 10 am and closing early at 6 pm, giving you just enough time to shop, dine, and enjoy the “beach” before walking over to the Trustmark Park for their annual Fourth of July firework show! 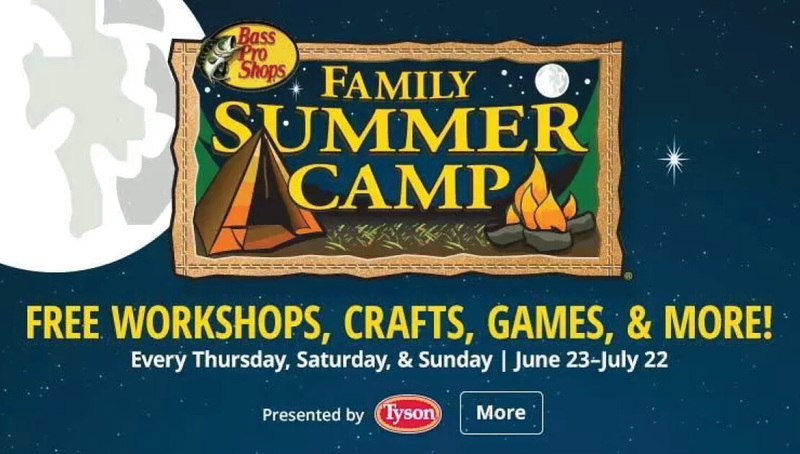 On Saturday June 30 and Sunday July 1, Bass Pro Shop is offering a Family Summer Camp with crafts, games, and a free catch & release pond and much more for the entire family! 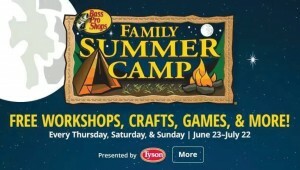 Folks can also enjoy different workshops to learn about conservation, water sports, camping and emergency preparedness. Click here to learn more! Have you checked out Cavender’s yet? Stop by and see what the fuss is all about! They offer a wide range of western wear, shoes, hats, gifts and so much more! Whether you need some durable jeans and boots for the farm or have a Summer shindig to attend, Cavender’s has you covered. Yee-haw! Make plans to join Holiday Inn for the July 12 wine tasting benefiting Make-A-Wish. 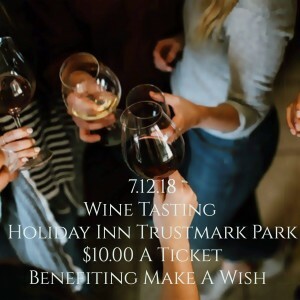 Tickets are $10 for the event. And if you’re looking for a delicious lunch or dinner and need a place to wind down after work, stop by Alumni House to enjoy excellent food dishes and cold drinks!